This image taken by the NASA/ESA Hubble Space Telescope’s Wide Field Camera 3 (WFC3) shows a beautiful spiral galaxy called NGC 6744. At first glance, it resembles our Milky Way albeit larger, measuring more than 200,000 light-years across compared to a 100,000-light-year diameter for our home galaxy. 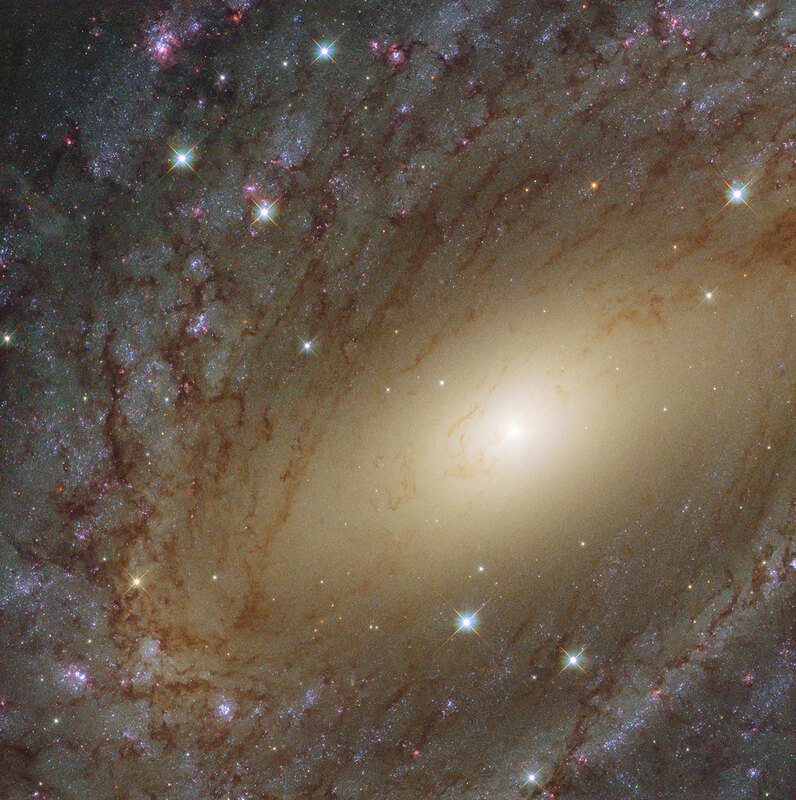 NGC 6744 is similar to our home galaxy in more ways than one. Like the Milky Way, NGC 6744 has a prominent central region packed with old yellow stars. Moving away from the galactic core, one can see parts of the dusty spiral arms painted in shades of pink and blue; while the blue sites are full of young star clusters, the pink ones are regions of active star formation, indicating that the galaxy is still very lively. In 2005, a supernova named 2005at (not visible in this image) was discovered within NGC 6744, adding to the argument of this galaxy’s liveliness. SN 2005at is a Type Ic supernova, formed when a massive star collapses on itself and loses its hydrogen envelope. Be the first to comment on "Hubble Space Telescope Views Milky Way’s Big Sister"